The first of the three class previews this week, today we take a closer look at the class that started it all back in 2008, and is now the entry-level category to the Machismo: The Sport Class (S2). 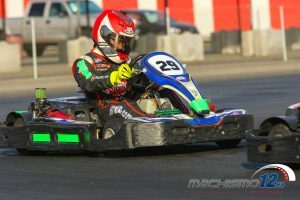 With an experience cap precluding the regular A-Main level drivers from CalSpeed’s Super Series to enter, as well as any experienced or pro drivers from other forms of motorsports, this class is more for the up and coming or ‘gentleman’ racer. 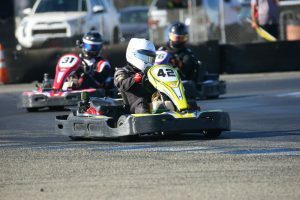 This isn’t to say that the class is absent of talent -quite the opposite- as it still welcomes the entirety of the drivers from CalSpeed’s Sprint Series, as well as amateur racers from outside of arrive and drive karting. Required to do 35 driver changes or ‘double stints’ across the twelve hours means these teams spend the most time down pit road of the three categories, but also gives them plenty of flexibility in their strategies towards drive time. Each team must also manage their minimum and maximum drive times per driver, and like all the other classes, must also stay on top of their fuel load throughout the race. Unlike the other classes however, Sport Class teams start the race with a full tank of fuel, meaning their fuel window shouldn’t open until at least two hours into the event. In all, there are 83 drivers across 17 teams competing in the Sport Class, with teams ranging from 4 to 6 drivers per team; this year, six teams elected to go with a 4 driver lineup, seven with 5, and four teams went with a 6-driver squad. It is by far the largest field assembled for the category, with certainly the deepest pool of drivers in terms of experience here at CalSpeed as well. Today we’ll take a look at five teams that -on paper- look to be the primary contenders, but make no mistake; at the Machismo, anything can happen! The next team on the list actually carries the highest ‘value’ in its lineup, bringing in a tally just two points below the maximum via CalSpeed’s Driver Value System that is used for governing the class. 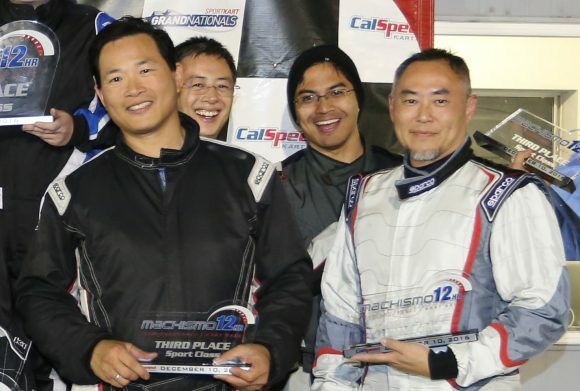 Not only that, Red Mist Activated has been able to do it with mostly returning members; both Frank Hsu and Michael Chen return for their third year in a row, while Moises Lizama is back for his second, and Sheng Wu returns to the group he found the Sport Class podium with in 2016. New drivers are Joon Maeng and Dax Veloria, whose brother helped the group to that aforementioned podium in 2016. Another team to pack maximum experience into their squad, Kerb Your Enthusiasm comes in just four markers below the max, and is the only other team above 200 in value. They do it with a trio of returning drivers, Chris Millar, Randy McKee and last year’s Sport Class pole sitting driver, Diego Alvarado. 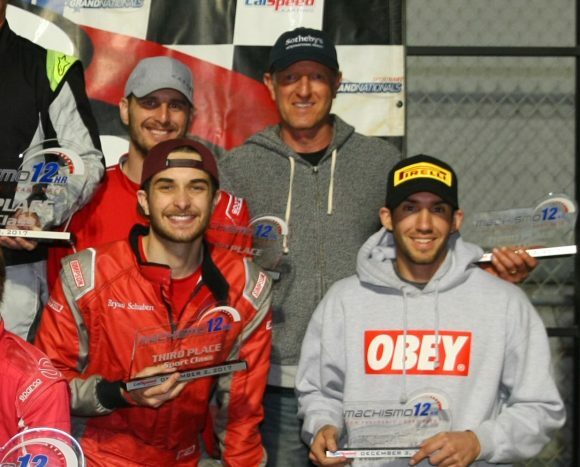 Add on veteran Michael Collins and the up and coming Owen Lerman, and this five-driver lineup is easily one of the strongest of the 17 class field. Like the previous teams we’ve discussed, this quintet has also improved over last year, and will certainly be a podium threat for the win. 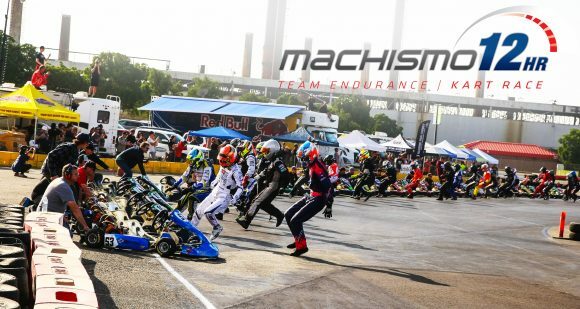 The T4 team has been synonymous with endurance kart racing and the Machismo since 2012, and here in the Sport Class they have missed the podium only once – last year. 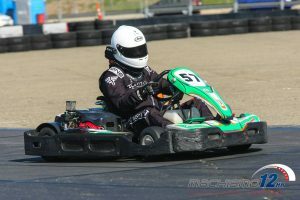 Having last won the event in 2016 in the Sport Class, their 2018 entry –T4 Sport– is led by Tom Zevin, who was also a part of the 2016 winning squad. Looking to get back to their hardware winning ways, T4 has put together a brand new lineup to team up with Zevin, including Doug Yauney, Eric Monteith, and the father-son duo Don and Donnie Clarke. Spearheaded by Full Throttle Racing’s front man Ivan Martinez, FTR Platinum is one of two teams for the group, and enters with two returning members from its maiden campaign at the Machismo last year. Joining Martinez as the returning driver in 2018, these two bring with them the talents of up and coming CalSpeed Sprint Series drivers Michael Hottinga and Matthew McCoy, while also bolstering their squad with auto-crosser Michael Parker. While a relatively new group to the Machismo, FTR should be in the hunt for hardware, if not a threat for the overall class victory.